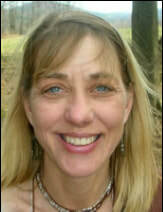 Lisa-Anne Loucka is a Reiki Master, Spiritual Mentor, and Light Worker. For years, anxiety felt like another limb that she had to manage. Not knowing when her next seizure would overtake her was large in her mind's eye. Fear and depression soon moved in. She lived in a fight-or-flight state that was reinforced by every seizure, not knowing that living in the present moment was even a possibility. She decided to take action and learn how to live without fear controlling her life. A mentor taught her mindfulness, she received Reiki sessions, and then took Reiki classes. Lisa-Anne has experienced that it is possible to live without fear and depression. Join her and let her help you access your inner wisdom, live courageously, and create your soul horizon. She has office space here at Stowe Natural Family Wellness and also in Craftsbury, VT.